Antirrhinum Growing snapdragons (Antirrhinum Majus) provides months of color ranging from pale pastels to vibrant reds and oranges. Native to southern Europe and the Mediterranean, they are a favorite flower for cutting and will blossom all winter in warmer climates. 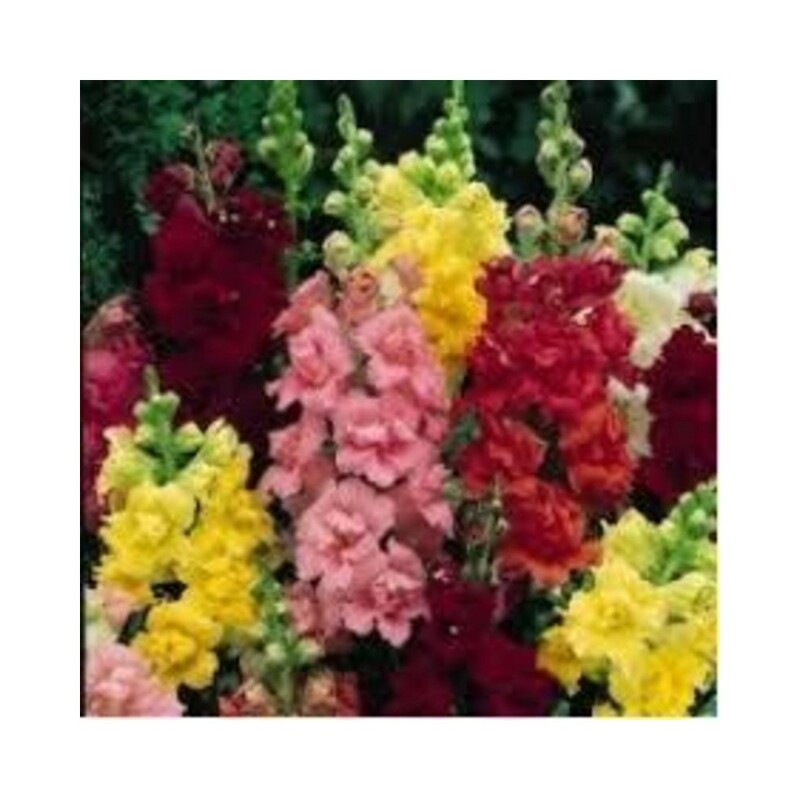 In ancient times snapdragons were thought to have supernatural powers and offer protection from witchcraft. They were also believed to restore beauty and youthfulness to women. Aromatic plants grow 1-3 feet tall. Self-seeding annual. Snapdragons thrive in the cooler temperatures of late spring and do best in sunny locations with rich, well-drained soil (watch Flower Gardening from the Ground Up – video). Plants will not flourish where temperatures are high for long periods of time. Blooms will tolerate some frost. 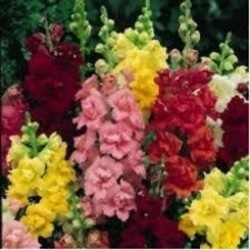 Under favorable conditions, snapdragons will self-sow in the garden. May be grown from cuttings or from seed. If planting from seed, sow indoors on the surface of the soil for 8 weeks before last frost (see Starting Annual Flowers Indoors). Seeds will germinate in 10-20 days. For best results, sow in vermiculite and water from below. Plant outdoors after last frost. Pinch back young plants after 4-6 leaves have appeared to encourage a bushy habit and apply an organic flower fertilizer for optimum plant health. Spent flowers should be picked often to encourage more blooms. If blooms become scarce, cut back plants drastically then feed and water generously. Plants may need to be staked when young. Allow flowers to mature and fade on the plant. Seed pods develop at the base of the flower and turn light tan to brown when mature. Attach a lunch-sized paper bag around seed pods using an elastic, catching the seeds as they fall. When the seeds are fully ripe, cut the stem at the base of the plant a nt Tree is a tree growing up to 5 m tall or more. Leaves are nearly stalkless, 10-22 cm long, 4-6 cm wide, acute apically, wedge-shaped at the base, entire, longitudinally lined, and with numerous pairs of prominent lateral veins. Flower spikes are 6-10 cm long, bearing numerous ovate to ovate-lanceolate, hirtellous bracts, pistillate perianth accrescent and enclosing the fruit, three of the sepals much enlarged, 2.8-3.2 cm long, 4-5 mm wide, suffused red purple, showy. Achene are about 1 cm long (including the style), the styles red purple. Ant Tree is native to South America.